Ever wonder what hides behind the mask of heavily caked base, blush, shadow and liner? Peel it off, layer by layer, and you see the real thing. The quintessential beauty. The icon that colours fairy tales of love, and longing. 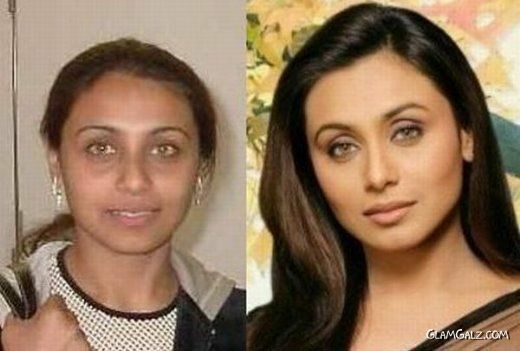 And while beauty may be in the eyes of the beholder and the artistry of make-up artistes, what lies beneath tells a whole new and true story. Sush is our ultimate style diva and we always love her. 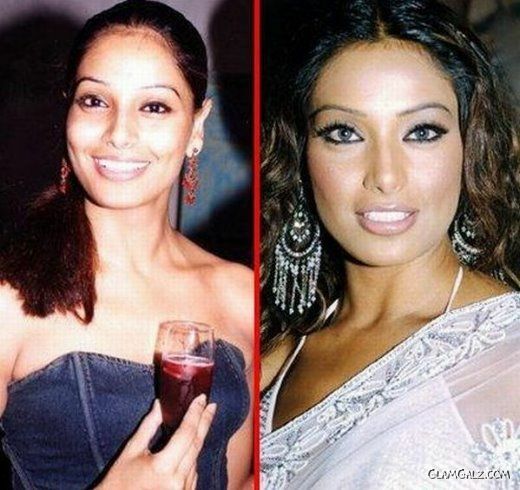 However, Sush seems to be too caught in motherhood and her difficult career to pay too much attention to her make-up. 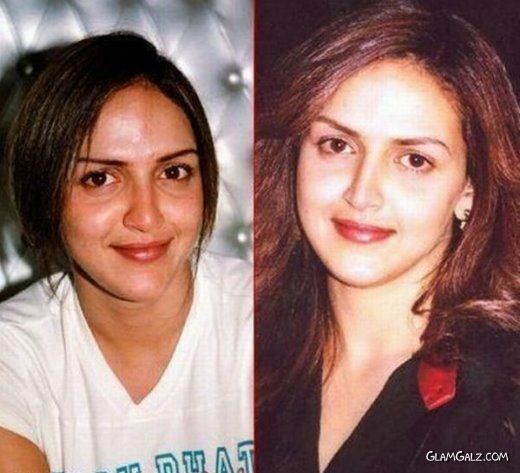 She looks tired and lack luster without her make-up. 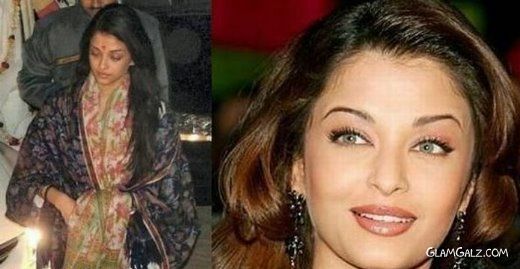 Urmila looks like she has just woken up after ages of hibernation. 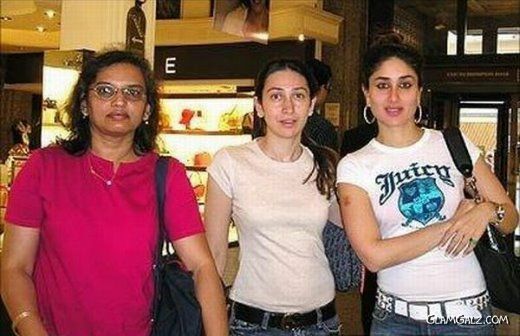 She has scared viewers with her horror films but she scares onlookers, this time around by presenting her natural look in public. 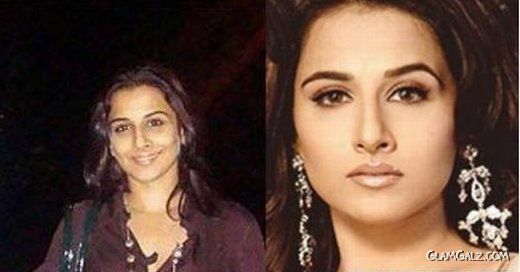 Karisma proves that looking good is in her family. 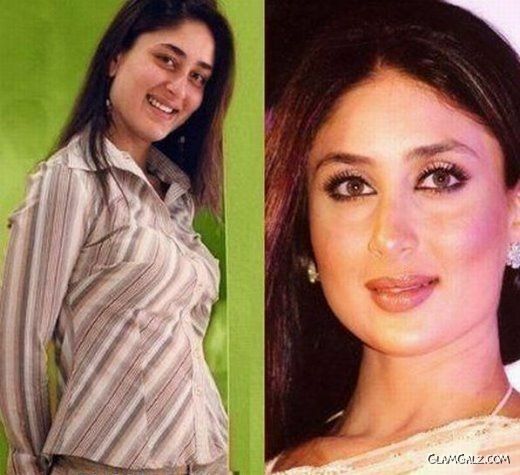 Just like sister Kareena, she too looks radiant without a trace of make-up on her skin. 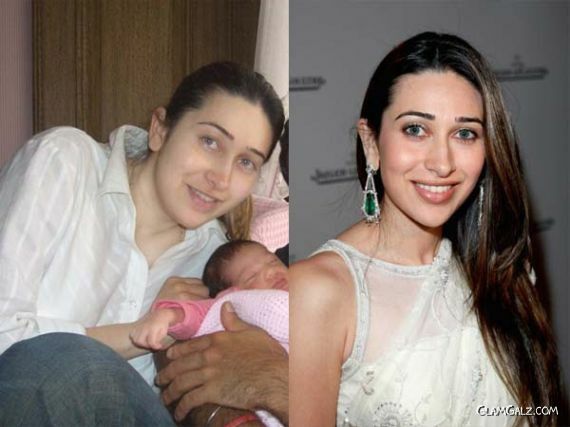 Call it the bliss of new motherhood or naturally blessed genes, Karisma looks picture perfect with and without make-up. 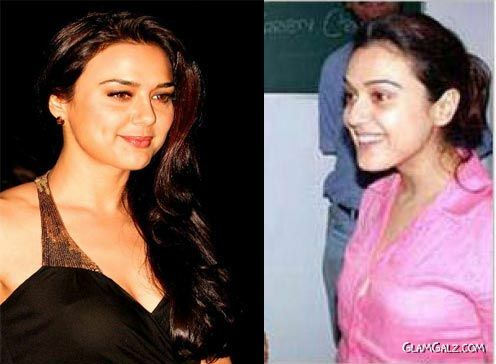 We cant say that Preity looks ugly without make-up, but she definitely does not look as attractive. 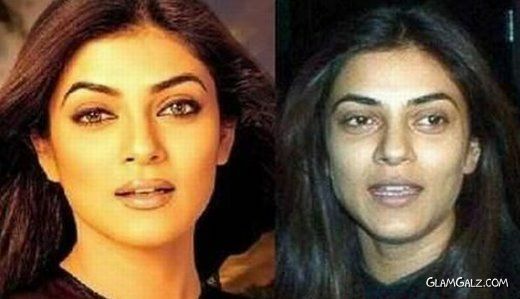 She seems stripped off her natural looking radiance. The Fashion babe turned heads with her glam look in the movie. 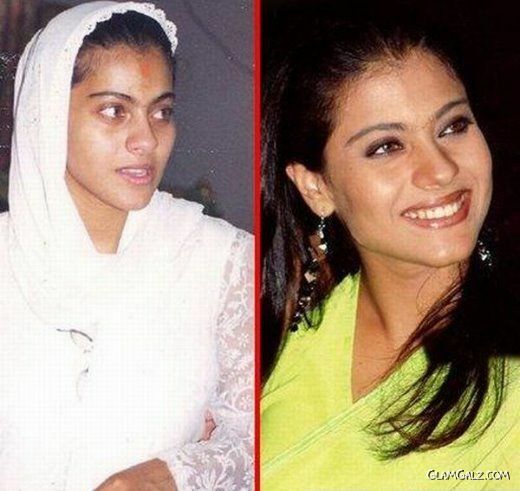 However, she shocks everyone with her horrendous avatar in this picture. Far from a fashionable babe, Mugdha looks more like roadside model than a runway queen.